Mackay (/məˈkaɪ/) is a city and its centre suburb in the Mackay Region on the eastern coast of Queensland, Australia. It is located about 970 kilometres (603 mi) north of Brisbane, on the Pioneer River. Mackay is nicknamed the sugar capital of Australia because its region produces more than a third of Australia's sugar. There is controversy about the location of the region for administrative purposes, with most people referring to it as a part of either Central Queensland or North Queensland. Indeed, much confusion lies within the Queensland Government, with government services being provided through both Townsville (North Queensland) and Rockhampton (Central Queensland). Generally, the area is known as the Mackay–Whitsunday Region. The city was named after John Mackay. In 1860, he was the leader of an expedition into the Pioneer Valley. Initially Mackay proposed to name the river Mackay River after his father George Mackay. Thomas Henry Fitzgerald surveyed the township and proposed it was called Alexandra after Princess Alexandra of Denmark, who married Prince Edward (later King Edward VII). However, in 1862 the river was renamed to be the Pioneer River, after HMS Pioneer in which Queensland Governor George Bowen travelled to the area, and the township name was changed to be Mackay in honour of John Mackay. Fitzgerald then decided to use the name Alexandra for his sugar cane plantation and sugar mill, which eventually provided the name to the Mackay suburb of Alexandra today. There has always been much contention over the pronunciation of the name Mackay. Correspondence received by Mackay City Library in 2007, from descendants of John Mackay, confirms that the correct pronunciation is /məˈkaɪ/, from the Gaelic name "MacAoidh" which is pronounced "ɑɪ" not "eɪ". The area which is now Mackay City was originally inhabited by the local Yuibera people. One of the first white settlers to travel through the Mackay region was Captain James Cook, who reached the Mackay coast on 1 June 1770 and named several local landmarks, including Cape Palmerston, Slade Point and Cape Hillsborough. It was during this trip that the Endeavour's botanist, Sir Joseph Banks, briefly recorded seeing Aboriginal people. In 1860, John Mackay led an expedition to the Pioneer Valley and was the first European to visit the area now named after him. In 1918, Mackay was hit by a major tropical cyclone causing severe damage and loss of life with hurricane-force winds and a large storm surge. The resulting death toll was further increased by an outbreak of bubonic plague. The foundation stone of the Mackay War Memorial was laid on the river bank on 18 November 1928 by the mayor George Albert Milton. It was unveiled on 1 May 1929 by the mayor. Due to flooding, the memorial was relocated to Jubilee Park in 1945. Due to the construction of the Civic Centre, it was relocated to another part of the park in March 1973. The largest loss of life in an Australian aircraft accident was a B17 aircraft, with 40 of 41 people on board perishing, on 14 June 1943, after departing from Mackay Aerodrome, and crashing in the Bakers Creek area. The Rats of Tobruk Memorial commemorates those who died at and since the Battle of Tobruk. The memorial was dedicated on 4 March 2001. On 18 February 1958, Mackay was hit with massive flooding caused by heavy rainfall upstream with 878 mm of rain falling at Finch Hatton in 24 hours. The flood peaked at 9.14 metres (29.99 ft). The water flowed down the valley and flooded Mackay within hours. Residents were rescued off rooftops by boats and taken to emergency accommodation. The flood broke Australian records. On 15 February 2008, almost exactly 50 years from the last major flood, Mackay was devastated by severe flooding caused by over 600 mm of rain in 6 hours with around 2000 homes affected. Mackay was battered by Tropical Cyclone Ului, a category three cyclone which crossed the coast at nearby Airlie Beach, around 1:30 am on Sunday 21 March 2010. Over 60,000 homes lost power and some phone services also failed during the storm, but no deaths were reported. The Dudley Denny City Library opened in 2016. Mackay is situated on the 21st parallel south on the banks of the Pioneer River. The Clarke Range lies to the west of the city. The city is expanding to accommodate for growth with most of the expansion happening in the Beachside, Southern, Central and Pioneer Valley suburbs. Suburbs to the North of the city such as Midge Point are also fast growing with residential estates in demand. Mackay has a humid subtropical climate (Cwa) under the Köppen climate classification. Average maximum temperatures range from 30 °C in summer to 23 °C in winter, while minimums range from 23 °C to 11 °C. Winters are sunny and fairly dry, with minimum temperatures usually around 10 °C, but rarely any lower than 5 °C. Days are pleasant and warm; however, occasional cloudy days may keep the temperature below 20 °C all day. Frost is extremely rare in Mackay however may be recorded to the west of the city some winters. Mackay gets around 110.0 clear days annually. December is the start of the wet season, which lasts until March or April. High humidity, almost daily rainfall and very warm nights are typical of this time of year. Monsoonal low pressure systems and tropical cyclones occasionally affect Mackay, and cause very heavy, prolonged periods of rain, with totals of up to 200 mm often being recorded in 24 hours during these systems. Extreme temperatures in Mackay have ranged from 39.7 to −0.4 °C (103.5 to 31.3 °F). The highest rainfall ever recorded in 1 day was 627.4 mm (24.7 in) on 22 January 1918, which is among the heaviest 24-hour fall of any Australian city. As of the 2007–08, Mackay contributed $15.4 billion to the Australian economy, or 7.1% of Queensland's gross state product (GSP). This is largely on the back of its export-oriented industries of sugar and mining. Mackay is famous for its history as one of Australia's largest cane farming regions. However, in recent years, the mining industry has become the mainstay of the local economy. Mackay is widely recognised as the gateway to the Bowen Basin coal mining reserves of Central Queensland. It is the single largest coal reserve in Australia, with 34 operational coal mines extracting more than 100 million tonnes annually. While much of this is used in Australia, Japan and China are the largest export recipients. Mackay was known as the "sugar capital" of Australia, producing a sizeable portion of Australia's domestic supplies and exports. However, the industry experienced a decline in the 2000s. The industry in Mackay has its roots back in the 19th century. Historically, plantations were small and had their own mills to crush the cane during harvest. Over the years as the industry grew and developed, co-operatives were formed to consolidate the harvesting, crushing and distribution of the sugar in selected zones. Throughout the 20th century, the privately owned mills in the Mackay district closed one by one until only three remained – Marian, Racecourse Mill, and Farleigh. Today, Pleystowe is the oldest surviving mill in the district (but closed in 2008). The Marian Sugar Cane Mill is situated in Marian, QLD. At the Farleigh Mill, there are mill tours accessed via the internet. Racecourse Mill also does tours, and therefore accessible via the internet. Mackay Sugar operates three of these remaining mills, including Racecourse, which became site of the region's first sugar refinery (which is owned by CSR Limited) in the 1990s. Growers in the region have a total cane production area of approximately 86,000 hectares. The growers are capable (in good seasons) of supplying up to 6.5 million tonnes of cane to the factories for processing. On average, Mackay Sugar produces about 850,000 tonnes of raw sugar and 180,000 tonnes of the by-product molasses annually. The sugar industry in Mackay has faced steep challenges since 2000, since it is largely dependent on high world sugar prices to remain viable. However, efforts are going into diversifying the use of sugar cane for different purposes. These include a planned energy co-generation plant that could deliver up to 30 per cent of Mackay's annual electricity supply. Compared to many of its neighbouring cities and regions in Queensland, Mackay's tourism industry is small and still developing. This is despite being close to notable attractions including Eungella National Park, the Great Barrier Reef, and the Whitsunday Islands. Several new hotels have opened in the region since 2000, further indication of a growing industry. These include The Clarion International, Quest Serviced Apartments and the Ibis Mackay Airport. Like tourism, the marine industry in Mackay is small but has a lot of potential. Mackay is well situated to become a major service centre for the marine industry, being in immediate proximity to the Whitsundays, and located halfway between Brisbane and Cairns. Currently the Mackay Marina is the largest base in the district for the maintenance, refit and related services for all marine craft, particularly Super Yachts. The Mackay Whitsunday Super Yacht Cluster, a group of regional companies focusing on providing integrated repair, refit and provisioning for the increasing number of visiting super yachts, was established in 2001 to support and promote the development of this sector. Mackay has three main shopping centres. Caneland Central is the largest of these, with more than 130 speciality stores. Myer is among the new anchor tenants. This expansion was opened on 13 October 2011. Mount Pleasant Shopping Centre is the second major shopping centre in the Mackay region. It hosts department stores, supermarkets and other speciality outlets. Outside the main centre, a number of bulky-good outlets also operate, along with a six-screen Birch Carroll and Coyle cinema complex. The Mackay City Heart, located in the older city centre, is also another thriving part of the city. It is the home of many of the region's banks, law, accounting and other professional service firms. The Bluewater Trail project, managed by the Mackay Regional Council, covers more than 20 kilometres (12 mi) of dedicated pedestrian paths and bikeways. Now completed the track links several new attractions and tourism infrastructure pieces around the city including the Bluewater Lagoon, the Bluewater Quay and the Mackay Regional Botanic Gardens. It also incorporates the Sandfly Creek walkway through East Mackay, and the Catherine Freeman Walk which connects West Mackay to the city under the Ron Camm Bridge. Located in the south of Mackay, the Mackay Regional Botanic Gardens are the start of the Bluewater Trail. The gardens opened and replaced Queen's Park as Mackay's botanic gardens in 2003 containing an array of rare plants native to the Mackay area and Central Queensland. Before 2003, the area was commonly called The Lagoons, and is centred on the shores of a billabong that years ago formed part of the Pioneer River further to the north. Heading east past the Mackay Base Hospital and along the Catherine Freeman Walk, the Bluewater Lagoon emerges. Comprising three tiered lagoons, the lagoon is a free family-friendly leisure facility overlooking the Pioneer River in the heart of Mackay's city centre. A waterfall connects the two main lagoon areas, which vary in depth up to 1.8 metres (5 ft 11 in). Similar to the well-known Streets Beach at the South Bank Parklands in Brisbane, the lagoon is a popular summertime attraction for locals and visitors. Further east along the trail is Bluewater Quay. As part of Queensland's 150th anniversary celebrations, $12 million has been invested into the transformation of River Street, to the immediate east of the Forgan Bridge. The street now has various public amenities including access to a new viewing platform, upgraded fishing jetty, stage areas, cafes and space for weekend markets. Being 250 metres (820 ft) long, the quay is built around the historic Leichhardt Tree (which falls under the Nauclea evergreen variety), a common meeting point for new migrants to Mackay who arrived at the old Port district along River Street. The Mackay region is home to the Mackay Festival of Arts held annually throughout July. Now more than 20 years old, it is the largest regional arts festival in Queensland. The festival features wine and cheese tasting sessions, live jazz and other music, stand-up routines, art exhibitions, dance and other performances. The City Centre is noted for its art-deco inspired architecture, with many buildings throughout the main streets of the central business district featuring distinctive designs from the early 20th century. The precinct was upgraded in the 1990s through a unique community arts project. The overall theme depicts the environmental beauty of the Mackay region and consists of bronzed plaques, sculptures and terrazzo/mosaic tiles. Of particular interest is a sculptured free-form seat in the shape of a bommie, or bombora, and covered in myriad colours depicting the Great Barrier Reef through to the rainforests of Eungella National Park. Many boutique stores, restaurants, bars and nightclubs are established throughout the precinct. Mackay Marina Village is a coastal precinct located adjacent to the Mackay Harbour. The marina itself has nearly 500 berths. It is also home to a sizeable residential village of luxury apartments, in addition to the Clarion Mackay Marina luxury hotel. The scenic Pioneer Valley spreads out to the west of Mackay, with the Pioneer River meandering through it 120 kilometres (75 mi) to the mouth at the port of Mackay. Nearly all of the sugar cane grown in the Mackay region comes from the Pioneer Valley, and it is synonymous with the rich soils and irrigation with which the sugar industry in Mackay has thrived over the past century. Among the natural assets of the Pioneer Valley are the walking tracks and swimming holes of Finch Hatton Gorge. The Eungella National Park, located at the very top of the range, is the longest and oldest stretch of subtropical rainforest in Australia, covering more than 51,700 hectares. It is one of the few places where platypus can be seen swimming in the wild, while more than 225 species of bird have been recorded in the surrounding forests. Mackay has 31 beaches within driving distance. Closest to the city are Illawong, Far and Town beaches. The patrolled Harbour Beach, adjacent to the Mackay Marina, is the most popular, being suitable for swimming. Lambert's Beach is also close to the city. Further north of the city are popular beaches at Bucasia, Dolphin Heads, Blacks Beach, Shoal Point and Eimeo – collectively these areas are known as the Northern Beaches. The Northern Beaches are popular with visitors, but are increasingly being developed as residential areas for Mackay's growing population. The islands immediately off Mackay are renowned for their azure blue waters, and are popular with fishermen. St Bees Island in particular is a well- known fishing spot. Brampton Island, to the north-east of the city, is a resort destination, with body therapy, water sports and snorkelling on offer. Flights to Brampton are available from Mackay Airport, as are boats from the marina. Carlisle, Scawfell and Keswick are other notable islands. Each is a national park surrounded by coral reefs. During the peak season from June to the end of August, whales can be heard and seen around these islands. Held annually in June, River Sessions is Mackay and Central Queensland's premier youth and contemporary music festival. The festival features the best rock, hip-hop, alternative, folk, pop and dance music acts from around Australia. Two major highways, the A1 (Bruce Highway), and highway 70 (Peak Downs Highway), pass through Mackay. The A1 connects the city to Townsville, Proserpine and Cairns in the north, and Rockhampton and Brisbane in the south. The Peak Downs Highway connects it to Moranbah, Clermont and Emerald in the south-west. Road projects under construction in the region include the planned Mackay Ring Road which will provide a bypass of the city for the Bruce Highway as well as provide a link to the Peak Downs Highway and Mackay Harbour. The north coast railway line, operated by Queensland Rail, meets the western line in the city's south. Trains from Brisbane pass through Mackay railway station and continue through to Proserpine, Townsville and Cairns, including the regular Tilt Train service between Brisbane and Cairns. Minerals from the western line (Moranbah and other coal mining centres) are transported to Hay Point and Dalrymple Bay Coal Terminals for trans-shipment to other destinations. Mackay Harbour deals mainly with sugar exports and visiting cruise ships. The city is served by Mackay Airport, from which QantasLink, Virgin Australia, and Jetstar Airways offer flights to Brisbane, Sydney and Melbourne, as well as to regional destinations such as Geelong, Cairns, Townsville, Rockhampton and Gladstone. MacAir Airlines previously provided a limited service into and out of Mackay for mining companies before it went into receivership in 2009. Mackay Transit Coaches operates from North Mackay to South Mackay. The area with the best service coverage is Mackay's central business district. The Mackay Base Hospital in West Mackay, about 4 kilometres (2.5 mi) from the city centre, is the main hospital for Central Queensland and has recently undergone extensive upgrades. The Mater Hospital, and the Mackay Specialist Day Hospital are in the city's north. The Pioneer Valley Hospital, which had initially ceased operating, has been converted into an injury rehabilitation center. The Queensland Department of Education has 11 primary schools and 4 high schools in Mackay. High schools include Pioneer State High School, Mackay State High School, Mackay North State High School, Mackay Northern Beaches State High School and Mirani State High School. One of the primary schools, Eungella State School was opened on 31 January 1928. Another primary school, Mackay North State School opened on 23 March 1915. The school celebrated its 100th anniversary in 2015. The private system encompasses five primary schools, Beaconsfield State School, Eimeo Road State School, Bucasia State School, Andergrove State School and secondary college, two P-12 colleges, one P-10 college, one 7–10 college and St Patrick's College – the state's only 11–12 college. The Mackay campus of Central Queensland University is in the outer suburb of Ooralea, while the local campus of James Cook University is in South Mackay. The city is also home to a TAFE (technical/vocational) college, which is in the south of the inner city. The Mackay Regional Council operates the Dudley Denny City Library at 134 Victoria Street. Mackay is governed locally by the Mackay Regional Council, a product of the amalgamation of the former City of Mackay, formed in 1869, with surrounding shires. The mayor is Greg Williamson. Tim Mulherin is the member for the state seat of Mackay and George Christensen is the federal member for Dawson. Rugby league is the most popular sport in Mackay, Mackay Cutters rugby league team played their first season in 2008 in the Queensland Cup and act as a feeder team to the North Queensland Cowboys (NRL). The 2nd placed Canterbury-Bankstown Bulldogs hosted a 'home' game at Mackay against the ladder leading Melbourne Storm in Round 16 of the 2012 NRL season for a record Mackay sporting ground attendance. In soccer, Whitsunday Miners Football Club represents the Mackay region in the Queensland State League (QSL). The Mackay Meteorettes (women) and Mackay Meteors (men) represent the region in the Queensland Basketball League (QBL) and are feeder clubs to the Townsville Fire (WNBL) and Townsville Crocodiles (NBL) respectively. Mackay also has a local roller derby league: Mackay City Roller Maidens. The Mackay Cricket Association organises competition among its 6 member clubs: Magpies, Pioneer Valley, Brothers Mackay, Northern Suburbs, Southern Suburbs, and Walkerston. In the 1920s the Olympic Theatre in Mackay was a popular venue for professional boxing and saw stars like Colin Bell and Tom Heeney fight there. Mackay also has local AFL matches at local grounds, such as Magpies Sporting Club and Harrup Park. Such teams in junior and senior are: Mackay City Hawks, Northern Beaches Magpies, Moranbah Bulldogs, Eastern Swans, Sarina Demons and Mackay Saints. Mackay is served by several local radio stations including 4MK, Star 101.9, H!T FM, Triple M, ABC Tropical North, 4CRM and My105.9FM. The ABC's national radio services are also available in Mackay. The city receives broadcasts from five television networks – Seven Queensland, WIN Television (an affiliate of Network Ten), Channel 9, ABC TV and SBS. All networks also provide their additional digital multi-channel television stations to Mackay. Two commercial networks broadcast a nightly local news bulletin. Seven Queensland airs a 30-minute local news bulletin at 6pm each weeknight (produced from a local newsroom but presented from studios in Maroochydore). Channel Nine produces an hour long news service comprising local news, sport and weather produced by journalists in Mackay and the Whitsundays, combined with the top national and international stories. It is presented live weeknights by readers from Nine's studios in Mt Coot-tha. WIN Television had also previously broadcast a local news bulletin in Mackay, which commenced in April 2009, but due to cost cutting measures at the network, the bulletin was axed in May 2015. The only daily local newspaper in the city is the Daily Mercury. The Mackay branch of the Queensland Country Women's Association meets at the CWA Hall at 43 Gordon Street. Karen Jacobsen, Entertainer; The original female Australian voice of the Siri application on Apple iPhones, iPods and iPads. Mackay is mentioned in "Gladstone Pier", the song by Redgum from the 1984 album Frontline. ^ Australian Bureau of Statistics (27 June 2017). "Mackay (SUA)". 2016 Census QuickStats. Retrieved 18 April 2018. ^ "2011 Census Community Profiles: Mackay". ABS Census. Australian Bureau of Statistics. Archived from the original on 19 March 2018. Retrieved 15 September 2016. ^ a b c "Mackay - city (entry 20426)". Queensland Place Names. Queensland Government. Retrieved 13 March 2014. ^ "Mackay - suburb (entry 46802)". Queensland Place Names. Queensland Government. Retrieved 4 January 2016. ^ Mackay. Travel guide for Mackay: eGuide Archived 15 May 2010 at the Wayback Machine. Mackayeguide.com. Retrieved on 18 August 2011. ^ "Pioneer River (entry 26973)". Queensland Place Names. Queensland Government. Retrieved 4 January 2016. ^ "Alexandra (entry 46752)". Queensland Place Names. Queensland Government. Retrieved 4 January 2016. ^ Hall, Glen. "MAC = "EYE" or MAC = "A"". Mackay History portal. Archived from the original on 19 March 2018. Retrieved 21 January 2018. ^ "A Short History of Mackay and District - The First Residents". www.mackayhistory.org. Archived from the original on 16 June 2016. Retrieved 27 January 2016. ^ "MACKAY WAR MEMORIAL". Townsville Daily Bulletin. Qld. : National Library of Australia. 19 November 1928. p. 6. Retrieved 6 April 2014. ^ "MACKAY NOTES". Townsville Daily Bulletin. Qld. : National Library of Australia. 25 April 1929. p. 11. Retrieved 6 April 2014. ^ "MACKAY NOTES". Townsville Daily Bulletin. Qld. : National Library of Australia. 2 May 1929. p. 3. Retrieved 6 April 2014. ^ "Mackay Cenotaph". Monument Australia. Archived from the original on 7 April 2014. Retrieved 5 April 2014. ^ K.H. Kennedy (1 December 2002). "Mackay Revisited". Mackay Regional Council. Archived from the original on 20 October 2018. Retrieved 20 October 2018. ^ "Rats of Tobruk Memorial". Monument Australia. Archived from the original on 7 April 2014. Retrieved 5 April 2014. ^ Flood Warning System for the Pioneer River Archived 26 September 2008 at the Wayback Machine. Bom.gov.au. Retrieved on 18 August 2011. ^ Brunt, A.T. "Notes on the Mackay Storm of February, 1958" (PDF). Australian Bureau of Meteorology. Archived (PDF) from the original on 4 March 2016. Retrieved 19 March 2018. ^ AMSAaboard Summer Edition 2008 Archived 3 December 2008 at the Wayback Machine. Amsa.gov.au. Retrieved on 18 August 2011. ^ North Queensland assesses cyclone damage – ABC News (Australian Broadcasting Corporation) Archived 23 March 2010 at the Wayback Machine. Abc.net.au (21 March 2010). Retrieved on 18 August 2011. ^ "Public Libraries Statistical Bulletin 2016-17" (PDF). Public Libraries Connect. State Library of Queensland. November 2017. p. 14. Archived (PDF) from the original on 30 January 2018. Retrieved 30 January 2018. ^ "Mackay Technical College (former) (entry 602056)". Queensland Heritage Register. Queensland Heritage Council. Retrieved 10 July 2013. ^ "World War I Cenotaph and Jubilee Park (entry 600667)". Queensland Heritage Register. Queensland Heritage Council. Retrieved 10 July 2013. ^ "Mackay Central State School (entry 601911)". Queensland Heritage Register. Queensland Heritage Council. Retrieved 10 July 2013. ^ "Mackay General Cemetery (entry 602766)". Queensland Heritage Register. Queensland Heritage Council. Retrieved 10 July 2013. ^ "Selwyn House (entry 601080)". Queensland Heritage Register. Queensland Heritage Council. Retrieved 10 July 2013. ^ "East Gordon Street Sewerage Works (entry 602727)". Queensland Heritage Register. Queensland Heritage Council. Retrieved 10 July 2013. ^ "Holy Trinity Church Complex (entry 601111)". Queensland Heritage Register. Queensland Heritage Council. Retrieved 10 July 2013. ^ "Richmond Mill Ruins (entry 601281)". Queensland Heritage Register. Queensland Heritage Council. Retrieved 10 July 2013. ^ "St Pauls Uniting Church (entry 600668)". Queensland Heritage Register. Queensland Heritage Council. Retrieved 10 July 2013. ^ "WH Paxton & Co. Offices and Warehouse (former) (entry 602554)". Queensland Heritage Register. Queensland Heritage Council. Retrieved 10 July 2013. ^ "Mackay Customs House (entry 600669)". Queensland Heritage Register. Queensland Heritage Council. Retrieved 10 July 2013. ^ "Sugar Research Institute & Residence (entry 602642)". Queensland Heritage Register. Queensland Heritage Council. Retrieved 10 July 2013. ^ "Mackay Town Hall (former) (entry 601107)". Queensland Heritage Register. Queensland Heritage Council. Retrieved 10 July 2013. ^ "Mackay Court House and Police Station (entry 600673)". Queensland Heritage Register. Queensland Heritage Council. Retrieved 10 July 2013. ^ "Commonwealth Bank of Australia (entry 600671)". Queensland Heritage Register. Queensland Heritage Council. Retrieved 10 July 2013. ^ "Queensland National Bank and bank residence (former) (entry 600672)". Queensland Heritage Register. Queensland Heritage Council. Retrieved 10 July 2013. ^ "Pioneer Shire Council Building (former) (entry 602603)". Queensland Heritage Register. Queensland Heritage Council. Retrieved 10 July 2013. ^ "Mackay Masonic Temple (entry 602731)". Queensland Heritage Register. Queensland Heritage Council. Retrieved 10 July 2013. ^ Linacre, Edward; Geerts, Bart (1997). Climates and Weather Explained. London: Routledge. p. 379. ISBN 0-415-12519-7. Archived from the original on 24 June 2016. ^ "Climate statistics for Australian locations". www.bom.gov.au. Archived from the original on 26 March 2017. Retrieved 19 March 2018. ^ "Mackay Aero". Climate statistics for Australian locations. Bureau of Meteorology. March 2013. Retrieved 3 April 2013. ^ Frost, Pamela (18 January 2014). "Are we still the sugar capital of Australia?". Daily Mercury. Archived from the original on 1 February 2014. Retrieved 25 January 2014. ^ "Sugar". A short history of Mackay. Mackay Historical Society and Museum Incorporated. Archived from the original on 27 February 2012. Retrieved 25 January 2014. ^ "SALE OF REFINERY INTEREST". www.interfinancial.com.au. Archived from the original on 13 February 2010. Retrieved 5 September 2013. ^ Stephen Robertson (18 June 2009). "Bligh sweetens Mackay's clean energy future with $9 million investment". Queensland Government Cabinet news release. Archived from the original on 25 October 2009. ^ "Caneland Central opens doors". Daily Mercury. 13 October 2011. Archived from the original on 23 November 2011. Retrieved 10 June 2016. ^ "Myer Project Hits Hurdle". The Daily Mercury. 17 April 2009. Archived from the original on 6 July 2011. ^ "Mount Pleasant Shopping Centre". mountpleasantsc.com.au. Archived from the original on 10 September 2016. Retrieved 7 September 2016. ^ Anthony Albanese (8 May 2009). "Nearly $3 million for Bluewater Trail at Mackay NEARLY". Commonwealth Department of Infrastructure, Transport, Regional Development and Local Government. Archived from the original on 22 May 2009. ^ "Botanic Gardens Conservation International". Archived from the original on 10 March 2012. ^ "Bluewater Lagoon". Mackay City Council. Archived from the original on 16 December 2011. Retrieved 6 December 2011. ^ Mackay Marina website Archived 21 October 2018 at the Wayback Machine. Mackaymarina.com. Retrieved on 18 August 2011. ^ Eungella National Park Archived 23 September 2009 at the Wayback Machine. Sunzine.net (10 June 2007). Retrieved on 18 August 2011. ^ Brampton Island Archived 31 January 2010 at the Wayback Machine. Sunzine.net (10 June 2007). Retrieved on 18 August 2011. ^ "Mackay's River Sessions announced Bliss n Eso, Boy and Bear, Karnivool & more". The Music. Street Press Australia Pty Ltd. Archived from the original on 1 February 2014. Retrieved 25 January 2014. ^ "Queensland school anniversaries (2015)". education.qld.gov.au. Archived from the original on 19 January 2018. Retrieved 19 January 2018. ^ "Home - St Patrick's College – Mackay Senior Catholic High School". stpats.qld.edu.au. Archived from the original on 31 March 2016. Retrieved 7 September 2016. ^ "Libraries: Contact/Opening Hours". Mackay Regional Council. Archived from the original on 4 May 2017. Retrieved 28 April 2017. ^ "2016 Mackay Regional Council - Mayoral Election - Election Summary". Electoral Commission of Queensland. 20 April 2016. Archived from the original on 31 October 2016. Retrieved 31 October 2016. ^ "Southern Cross Austereo | Nine News To Launch 15 Regional News Bulletins". www.southerncrossaustereo.com.au. Archived from the original on 9 September 2017. Retrieved 21 January 2018. ^ Mackay Regional Council- Sister cities Archived 9 October 2010 at the Wayback Machine. Mackay.qld.gov.au. Retrieved on 18 August 2011. 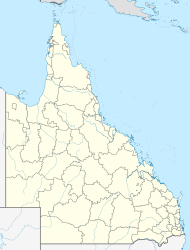 Wikimedia Commons has media related to Mackay, Queensland. Wikisource has the text of the 1911 Encyclopædia Britannica article Mackay.